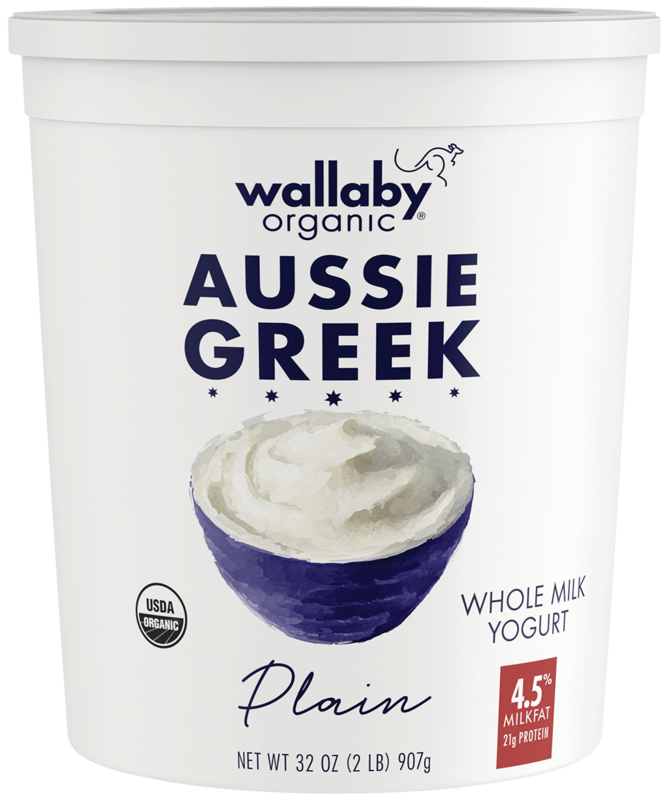 Made in small batches with premium organic whole milk from family farms, Wallaby Aussie Greek has an unforgettable taste that yogurt fans will fall in love with. It’s deliciously different — amazing in recipes and smoothies or perfect with fresh fruit. Spoon in — everything’s better the Aussie way. STRAINED YOGURT: CULTURED PASTEURIZED WHOLE ORGANIC MILK.